Every parent wants their baby to stay happy and healthy, and in this “pursuit of happiness,” they seek to leave no stone unturned. But, no matter how cautious you are, there a few problems that every parent will have to deal with at some point. One of them is diaper rash, medically known as diaper dermatitis. It is a condition that causes irritation and redness of the skin in the diaper area. Diaper rash can be mild, with just a few red spots confined to the genital area, or extensive, with tender red bumps that can spread toward your child's tummy and thighs. Read on to know some of the common causes and symptoms of diaper rash and the practices you can adopt to heal a diaper rash. The following practices can help prevent a diaper rash in newborns and toddlers. Wash your hands and your child's hands properly (in case of dealing with a toddler) before and after each diaper change. Change the diaper as soon as possible after they get soiled or wet. Check the diaper at least every 2 hours. Allow the area to air-dry for 5 to 10 minutes before putting on a new one. However, do make sure a baby is in a safe place during this time. Wash cloth nappies with a mild detergent, and rinse them twice. Do not use bleach or fabric softeners. Do not use plastic pants if using cloth diapers as these hold moisture on the skin. If the baby is suffering from diarrhea, protect the diaper area with any of the creams such as Desitin, Diaparene, A&D ointment, or zinc oxide. This will protect the skin from bacteria that might cause infection. Do consult the pediatrician before using any of these creams. Remove and discard the soiled diaper. Rinse and clean the area thoroughly with tepid water. The warmth will also help soothe the skin. Pat dry and leave the area open to allow the skin to air-dry further. Note: The same remedies can also be used by adults who wear incontinence briefs or diapers and are suffering from a diaper rash. Scroll down to read how to use the home remedies to heal a diaper rash. Sprinkling the diaper area with cornstarch can work wonders in treating a diaper rash. The cornstarch absorbs the moisture and also prevents the friction from the diaper. 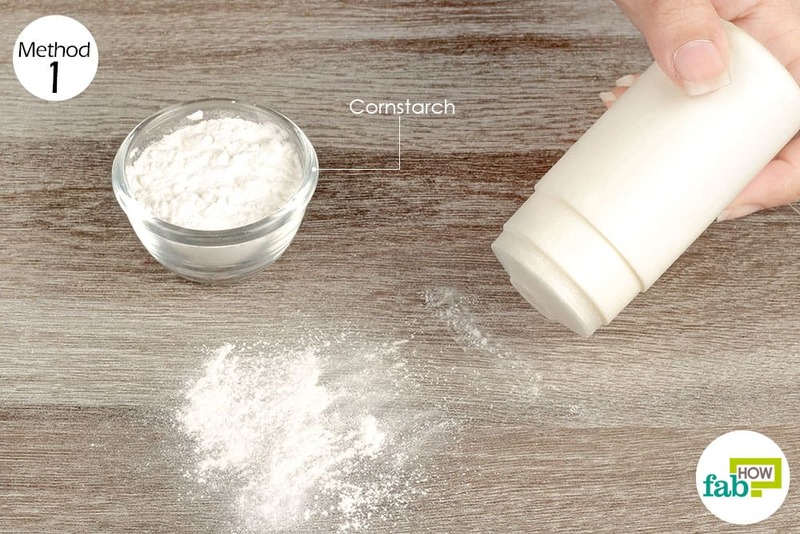 Cornstarch is a wonderful absorbent and can also be used with baking soda to eliminate body odor. Note: Do not use it if the rash is due to yeast infection as it can work the other way round and contribute to the rash. Lightly sprinkle the cornstarch on the cleaned skin. You can store the cornstarch in an empty talcum powder bottle for ease of use. The cornstarch will heal a diaper rash easily. Make a habit of using it every time you put on a fresh diaper to prevent further rashes. Coconut oil contains essential fatty acids that not only nourish the skin but also act as anti-bacterial and anti-fungal agent. The remedy is especially effective if the rash is due to a yeast infection. Organic and unprocessed coconut oil is also safe to use on baby’s delicate skin. Not only will it heal the diaper rash effectively but will also soothe the skin. It is so gentle on your skin that you can also use coconut oil to successfully treat and control acne breakouts on your skin. 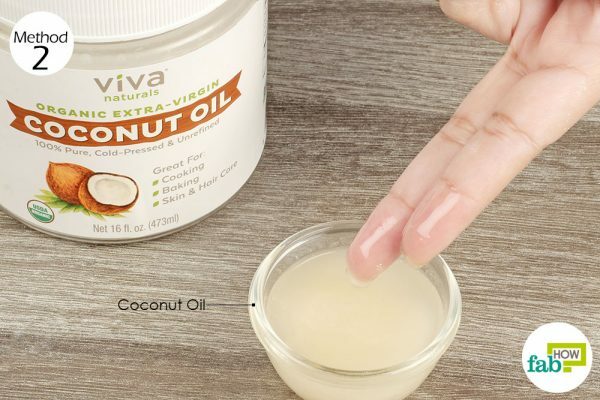 Scoop out some coconut oil with your fingers and gently massage it over the rash area. Allow the skin to absorb the oil fully before you secure a fresh diaper. Apply coconut oil every time you clean and change the diaper. 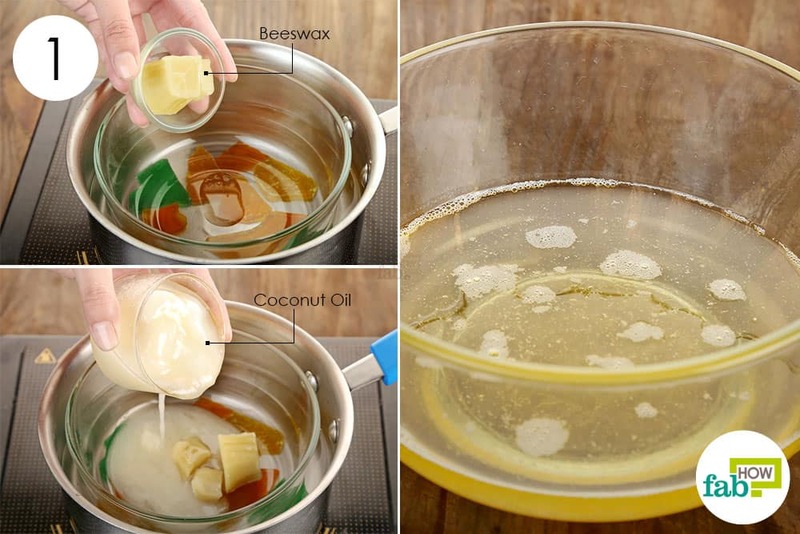 This remedy will clear away the rash effectively. Browned white flour serves as a great replacement for commercial baby powder which may contain artificial ingredients. Browned flour is very dense, highly absorbent, and gentle on your baby’s sensitive skin. Note: Do consult your pediatrician before using this remedy. Also, do not use it if your baby has a wheat allergy. Heat up a clean and dry skillet on medium heat for 1 minute. 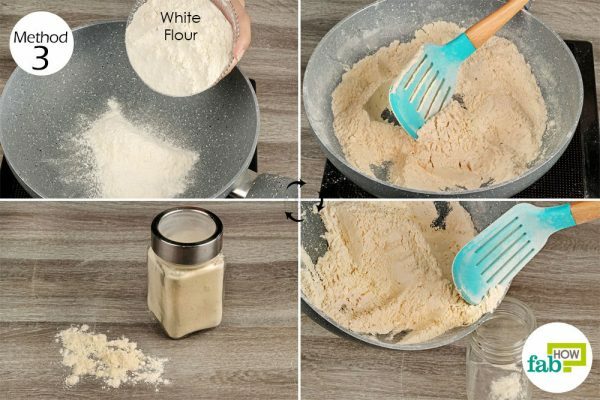 Put 1 cup of white all-purpose flour into the skillet and spread it out. Let it sit for 10 to 20 seconds, then slowly stir to avoid burning the flour. Also, smooth out any lumps that may form during the process. Continue to cook the flour for 15 to 20 minutes until it takes a nice brown color. Once done, let the flour cool off. Transfer it to an airtight container and store. If needed, you can also sift it once before storing to get rid of any big chunks. Use it like the regular baby powder during every diaper change. Browned white flour will heal and improve the rash within a day. 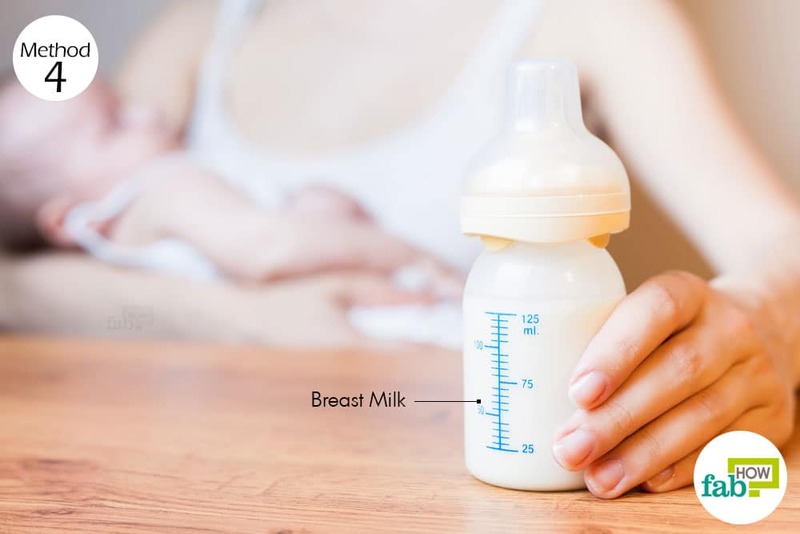 There is nothing safer for a child than the mother’s breast milk. The milk has anti-inflammatory and anti-bacterial properties that protect the child from several infections. Even when it comes to treating a diaper rash, breast milk is as effective as any over the counter medicine, plus it is a 100% natural remedy. Remove the dirty diaper and clean the area well and let it air-dry. Gently rub some breast milk on the rash and let it air-dry completely before securing a fresh diaper. Repeat the process with every diaper change to soothe the rash. 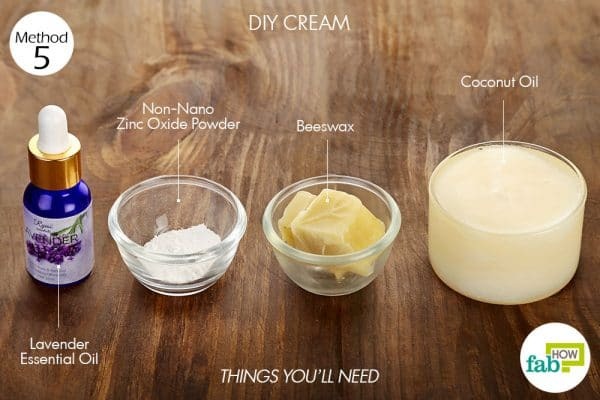 If you are wary of using any commercial product on your baby, you can whip up a DIY cream to heal the diaper rash. The ingredients used in the recipe are baby skin-friendly and can be used without concern to manage a diaper rash. The cream will stay good for 3 months when stored in an air-tight jar. Place a heat-safe bowl on a double boiler. Add ½ cup of organic coconut oil to the bowl. Allow the ingredients melt and blend on low heat, then remove from the heat. 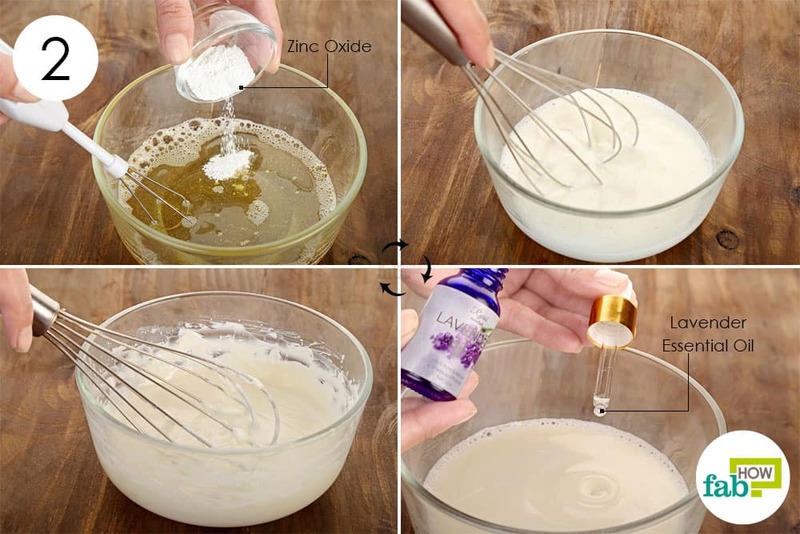 Add 1 teaspoon of non-nano zinc oxide powder, while whisking the oil blend continuously. This will prevent the formation of clumps. Add 2 to 3 drops of lavender essential oil. Whisk all ingredients together to form a smooth blend. 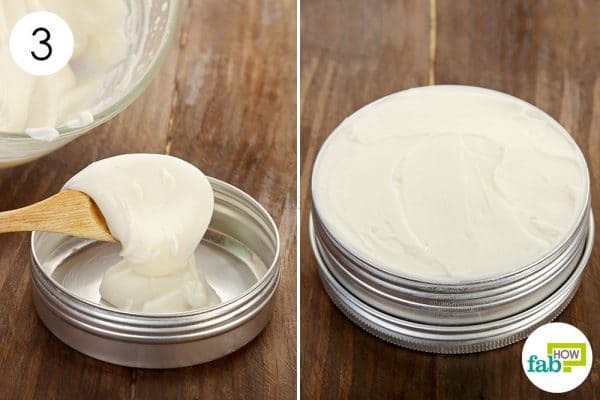 Transfer the DIY cream to an air-tight container and store it to treat diaper rash. Use the cream on air-dried skin during every diaper change to get rid of the rash in a day. Cold egg whites can also be used to treat the rash. The egg white creates a natural barrier for the skin to allow it to heal faster with its organic components. Chill an egg in the refrigerator for 15 to 20 minutes. 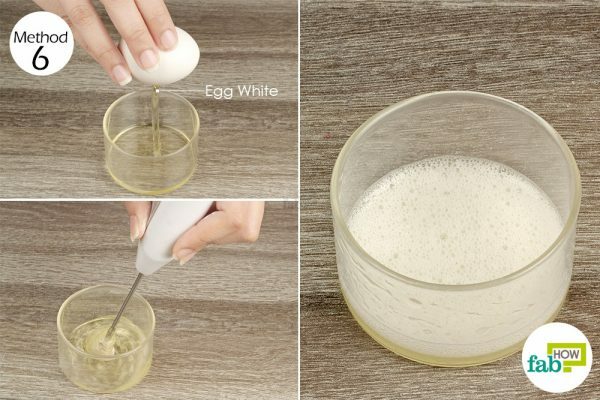 Break it open and allow only the egg white to drop in a container. Whisk it with a hand blender until it turns frothy. Clean your child’s bottom with lukewarm water and pat it dry. Apply the egg white generously over the rash and allow it to air-dry. If in a hurry, you can use a blow dryer on the coolest setting. Reapply the egg white after every diaper change and the rash should be visibly reduced or completely gone in a day depending on the severity. A weak vinegar solution can be used to clean and disinfect the genital area of your child to treat a rash. If the rash is fugal in nature, the vinegar kills the fungus and also creates an inhospitable environment for future rashes. As a precautionary measure, always wash towels or cloth diapers with vinegar to kill the yeast. Vinegar is also an excellent deodorizer and will get rid of the urine smell from nappies. 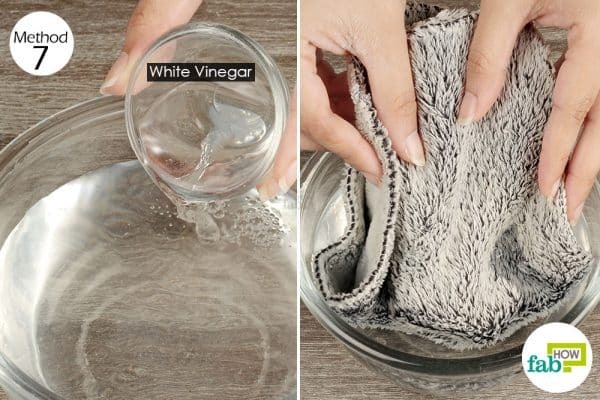 Pour 1 tablespoon of white vinegar in 2 cups of water. Soak a clean cotton towel in the solution and wring out the excess water. Use the towel to wipe the genital area every time you change the diaper. Use it with every diaper change to bring down the yeast rash in 2 to 3 days. Baking soda is a great alkalizing agent and therefore can be used for treating a yeast diaper rash. It helps balance the pH levels in the diaper zone and prevents bacteria and yeast from growing in the area. 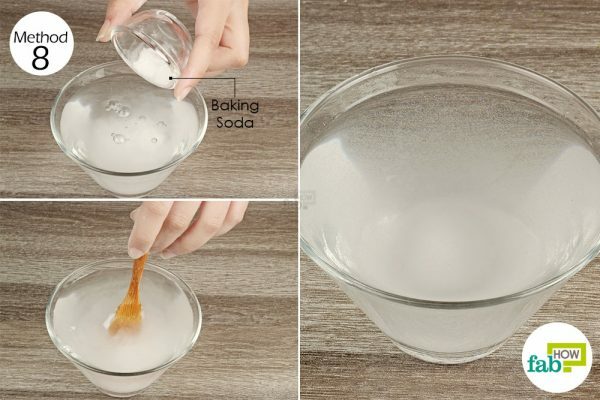 Baking soda also neutralizes the acid in the stool and urine that may be causing the diaper rash. Add 2 tablespoons of baking soda to 1 cup of warm water. Soak a clean and soft cloth in the solution and use it to clean your child’s bottom during a diaper change. Allow the area to air-dry before securing a fresh diaper. Repeat the application after every diaper change to treat a rash in 2 to 3 days. Alternatively, you can also add ½ cup of baking soda to warm water in a tub and let your baby sit it in for 10 minutes. Repeat it 2 to 3 times a day to get rid of the rash completely. Note: Don’t use baking soda baths if your baby has cuts or sores. If the baby is suffering from a yeast rash, you can also try using Epsom salt solution. It acts as a natural antiseptic, drawing infection out of the rash. You can either use it to wipe the area clean or add it to a sitz bath. You can also use Epsom salts in various ways for health and beauty. 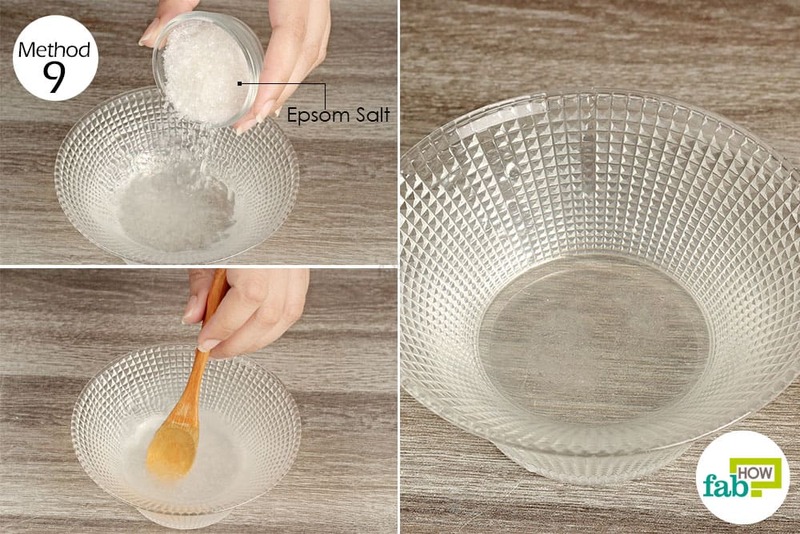 Add 1 tablespoon of Epsom salt to 1 cup of water. Soak a cotton ball in the solution and dab it over the rash. Let the area air-dry before using a fresh diaper. Alternatively, add 1 to 2 cups of Epsom salt to warm water in a tub and let your baby’s bottom soak in it for 10 minutes. Repeat it 2 to 3 times a day. Epsom salts cleanse, or bath will heal the rash in 2 to 3 days. Oatmeal contains a type of protein that can soothe the soft and delicate skin of your baby and also preserve the natural protective barrier of the skin. It also has the chemical compound saponin that works as a natural detergent to remove dirt and unwanted oils from the skin pores. 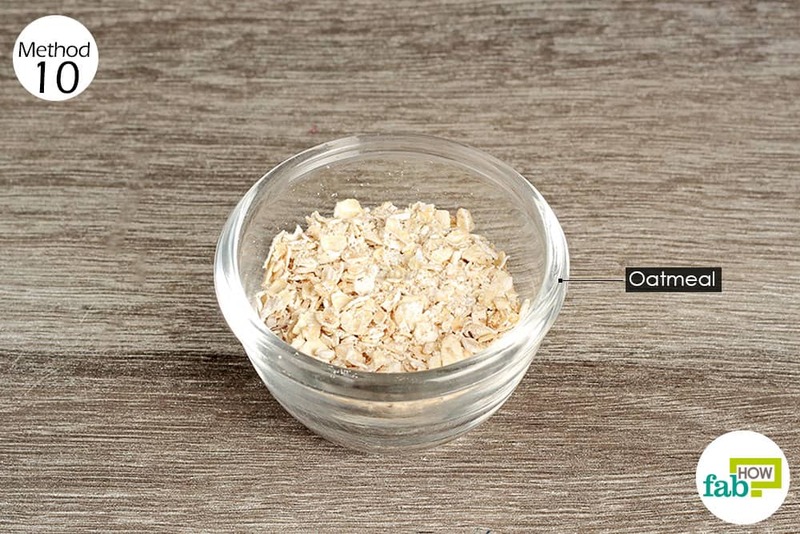 Add 1 tablespoon of oatmeal to your baby’s bath water and mix it well. Make your baby sit in the water for 10 minutes. Repeat the process 2 times every day to treat a rash within 3 days. 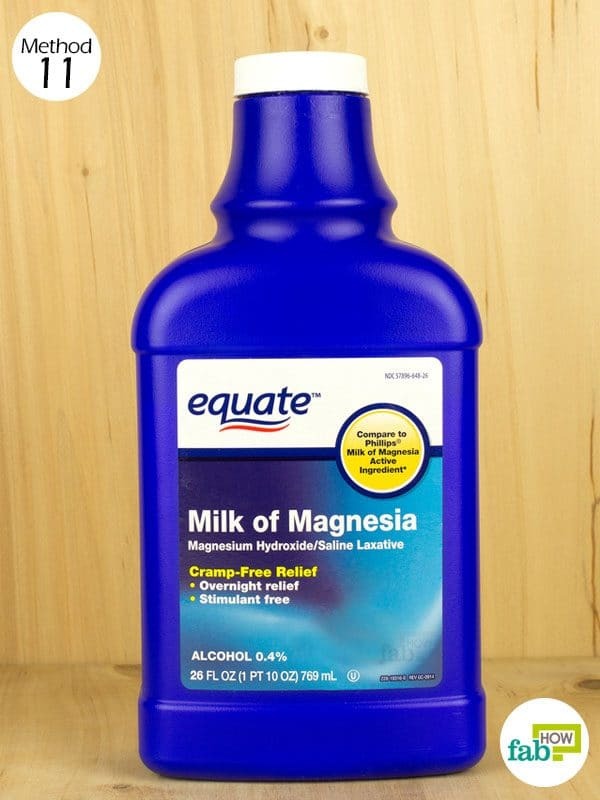 Milk of magnesia (MOM) can also be used to treat a diaper rash. 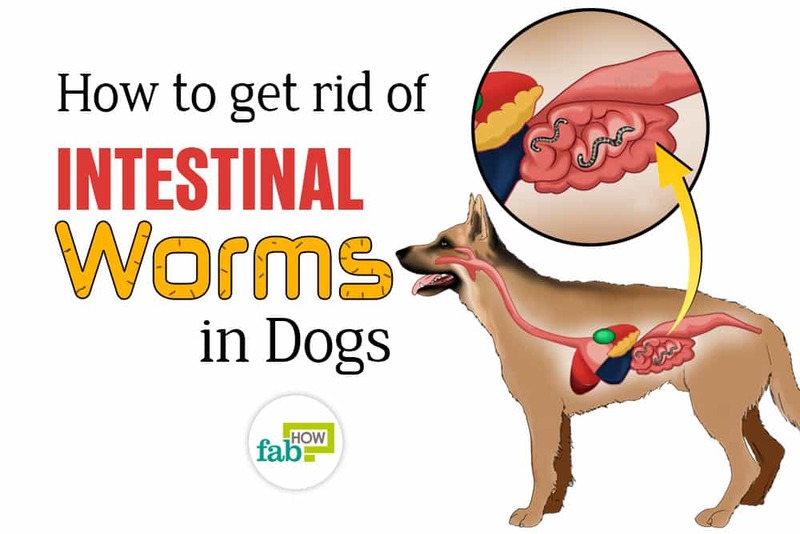 It acts as an antacid neutralizing the acid of urine that irritates the skin. However, use the plain original one only. Apply milk of magnesia on clean and dry skin after changing a dirty diaper. Allow it to air-dry before securing another diaper. Repeat with every diaper change. You will notice improvement after just 1 day. Continue for 2 to 3 days or until the rash is gone for good.